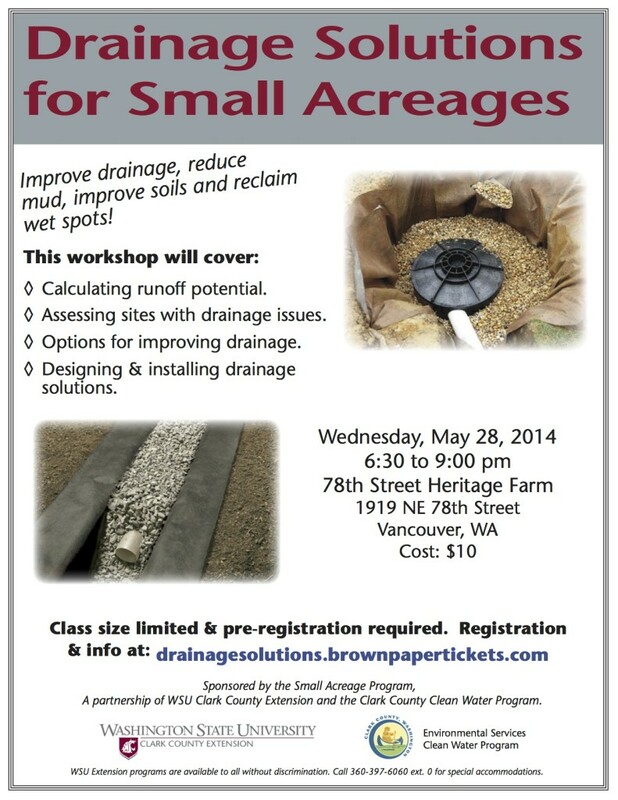 WSU Clark County Extension’s Small Acreage Program will offer a workshop aimed at helping rural residents improve drainage and manage runoff on their property. The workshop will be presented by Grant Johnson, owner of Grant Johnson Drainage Company, who has over 30 years of experience installing drainage systems in Clark County, and Small Acreage Program Coordinator Eric Lambert. Participants will learn how to assess site conditions, determine options for improving drainage, design solutions and tips on installation. Additional topics that will be covered include french drains, dry wells, rain gardens, rainwater harvesting and grassy swales.